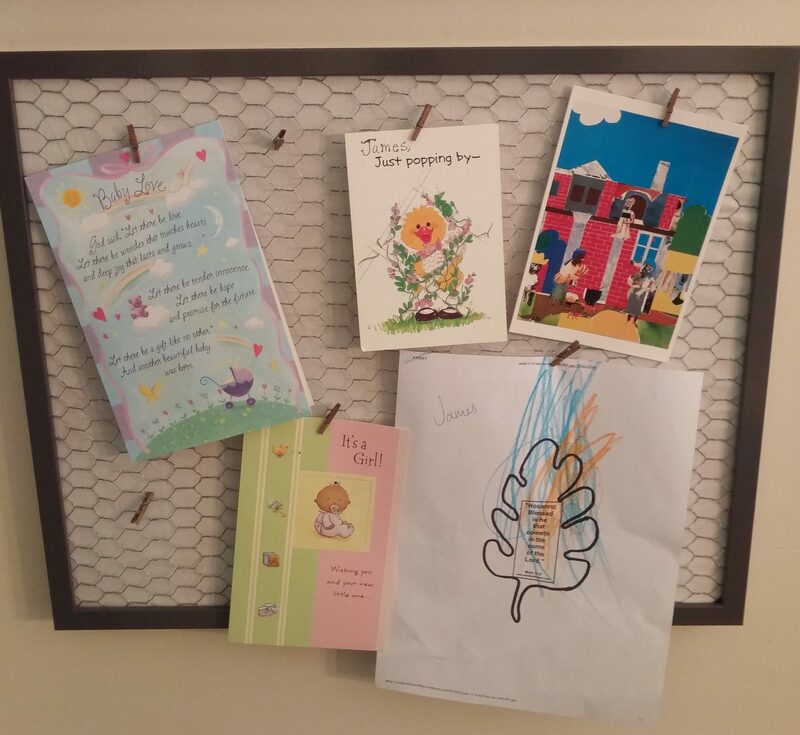 I can’t really remember where I saw this idea, but I thought it was a great and easy way to display cards, my son’s art, or other items we want to display. It was very easy to make. Here is how I did it! First I purchased a deep frame. I chose to get one from IKEA, mostly because it was inexpensive and I love IKEA. This is the frame I purchased: Ribba. Next, I ordered some craft chicken wire. Of course I ordered this through Amazon because it was the easiest way to get it, but I am sure they carry it at most craft stores. You just need to make sure you have enough wire to cover the size of your frame. 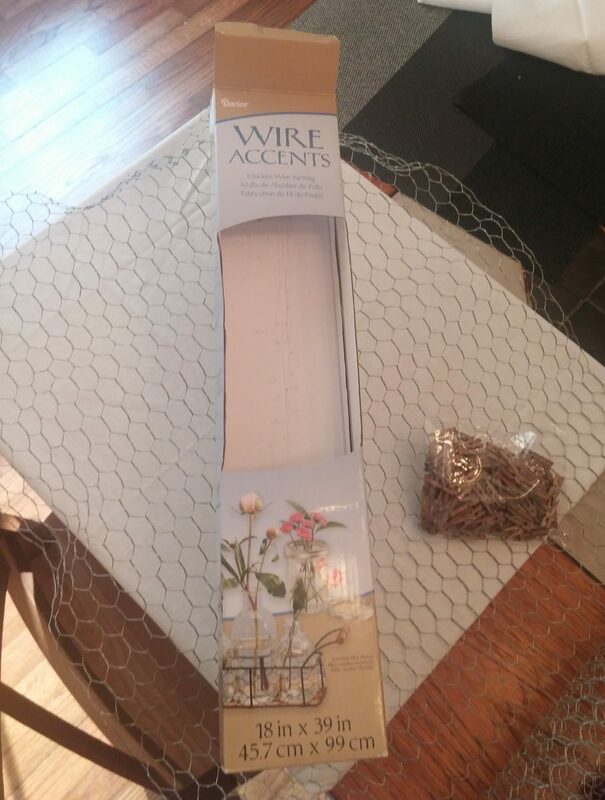 This is the wire I purchased: chicken wire. 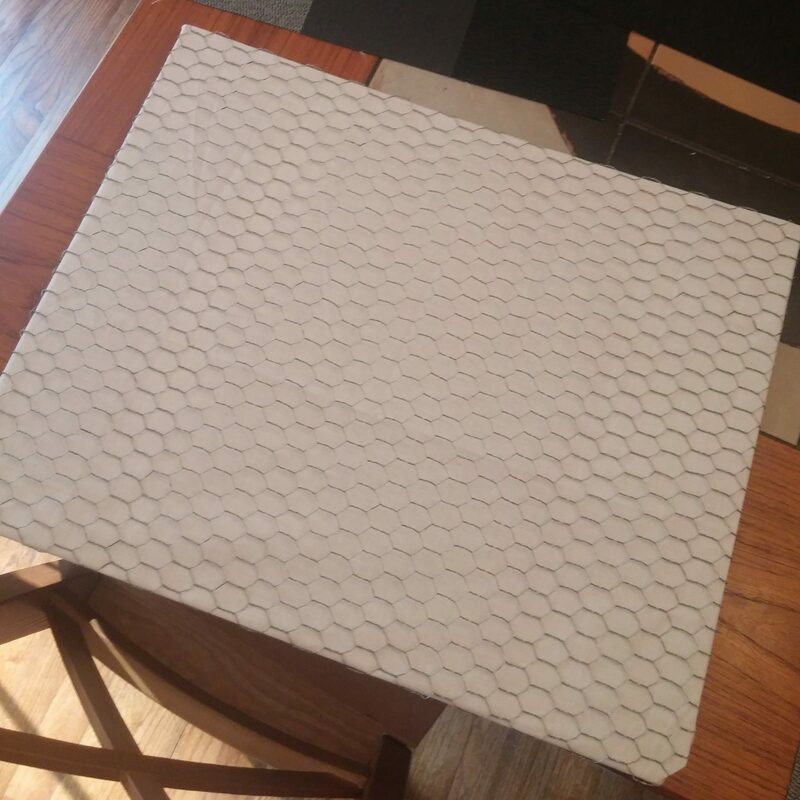 I decided I wanted a white background, but you could use any fabric that will cover the back of your picture frame with a little extra on the sides. I also ordered cute clothes pins to use to hold items on the display. I ordered mine from Amazon, but they are available at most craft stores. 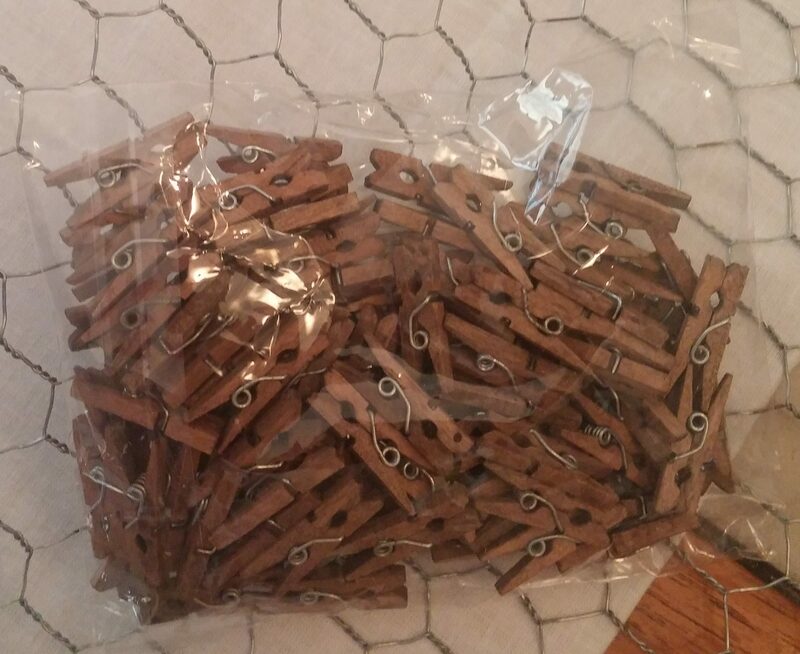 The clothespins I ordered are these: clothespins. I started by separating the pieces of the frame and removing the glass. You will not need the glass, but I saved mine in case I ever wanted to use it as a frame again. 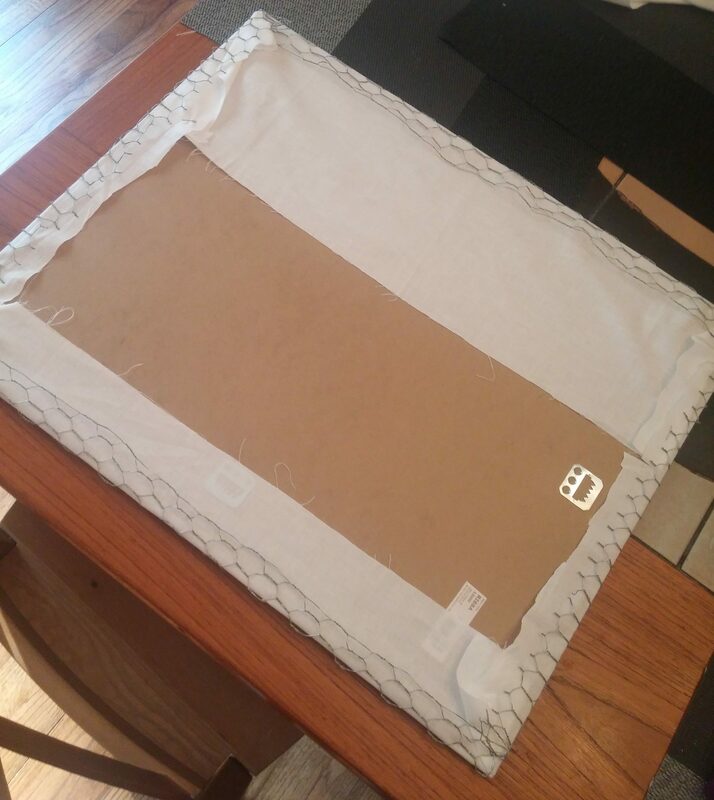 Next, you will get your fabric and wrap it around the backing of the frame. 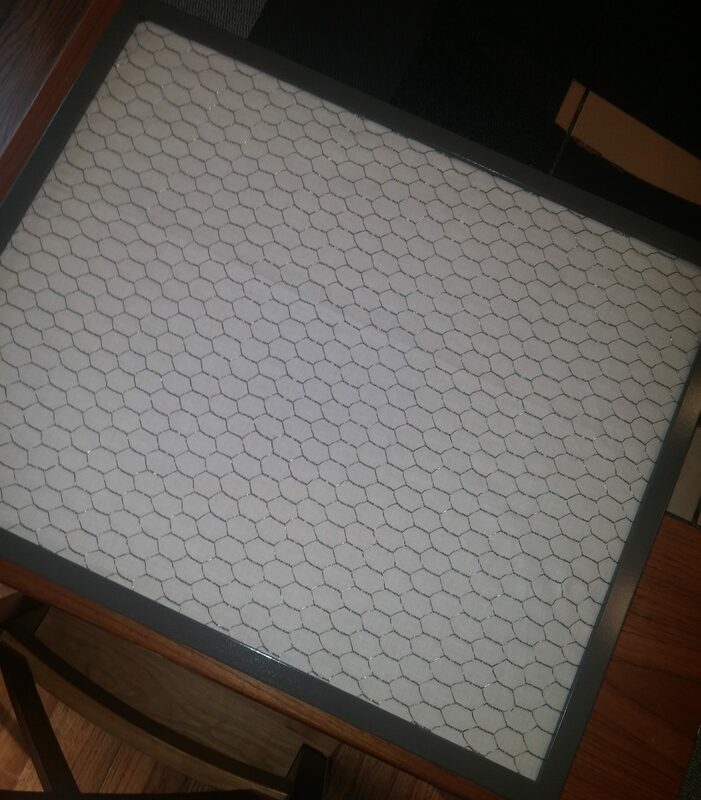 Then you will wrap the chicken wire around the frame backing and the fabric. You may need to cut your wire if there is a lot of extra wire after you have wrapped it around the frame backing. Once you have the wire wrapped around the back of the frame and secure, you will add the frame on top of the backing (the same way you would if you were adding a photo without the glass). Now your display is pretty much complete. 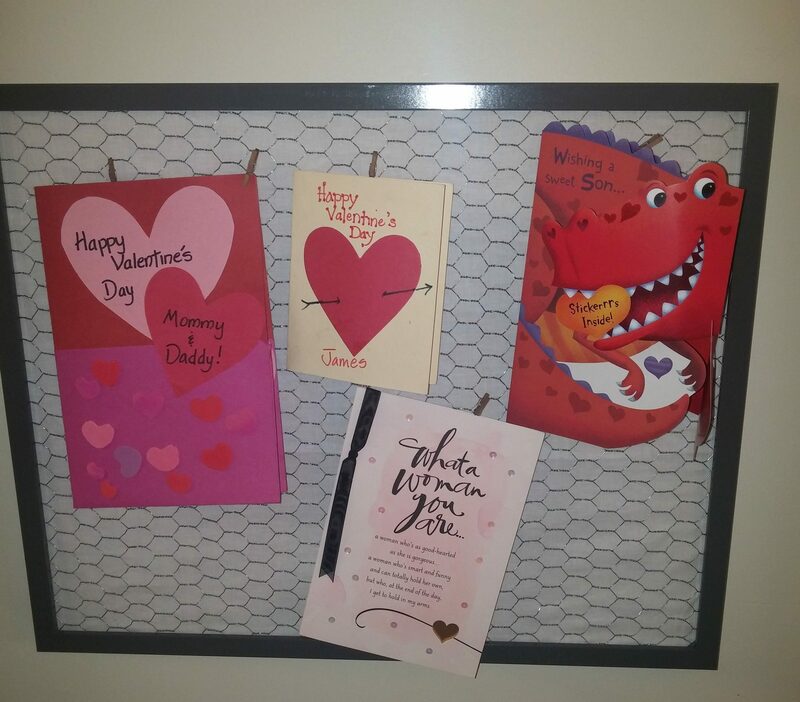 You will just add your clothespins and attach your items for display! Enjoy displaying all of your items!